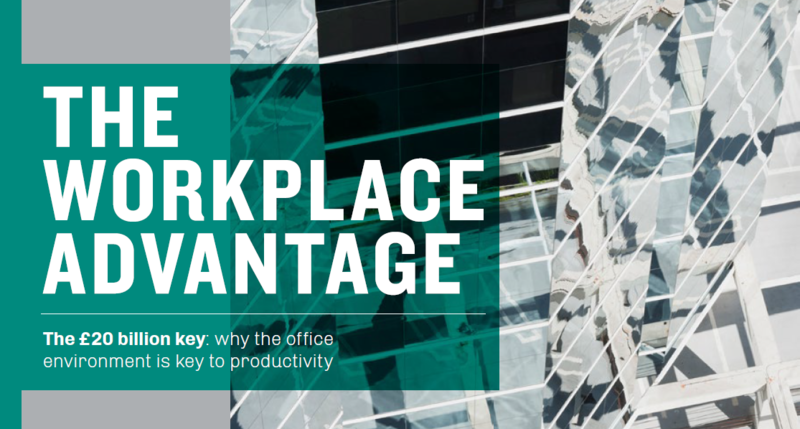 Published at the tail end of last year, The Stoddart Review is a UK joint research project with the objective of creating greater understanding of the role of working environments when it comes to workplace productivity. And with recent headlines pointing out a growing divide in global productivity rates, it would appear that the issues are more relevant than ever. Last week in London, a selection of guests were invited to hear from key players of the review, to learn about the latest findings, and what this means for the way we all work. Increasing productivity is a central focus for every business. How you achieve this goal, however, is often unique for each organisation. 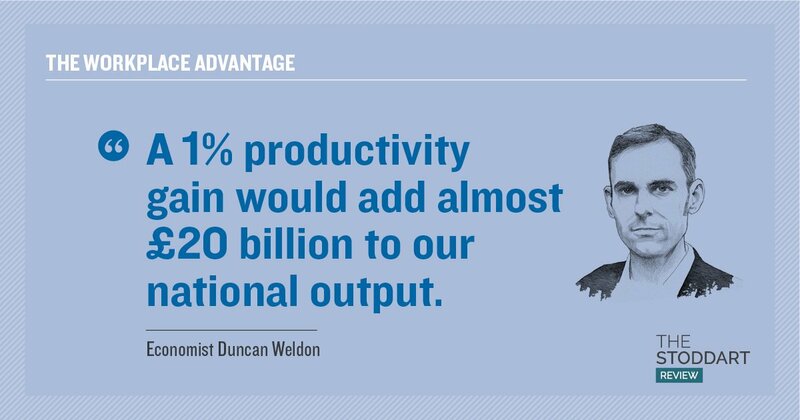 In the UK, this issue is perhaps higher up on the agenda than elsewhere as statistics highlight a productivity gap when compared to other nations, with UK productivity measured at 18% below the average level of the other members of the 'Group of Seven' advanced economies. And with 2017 figures showing productivity levels falling below those seen in 2007, there has never been a more pertinent time for a wide reaching review on how the workplace itself is affecting workplace productivity. Step forward The Stoddart Review. 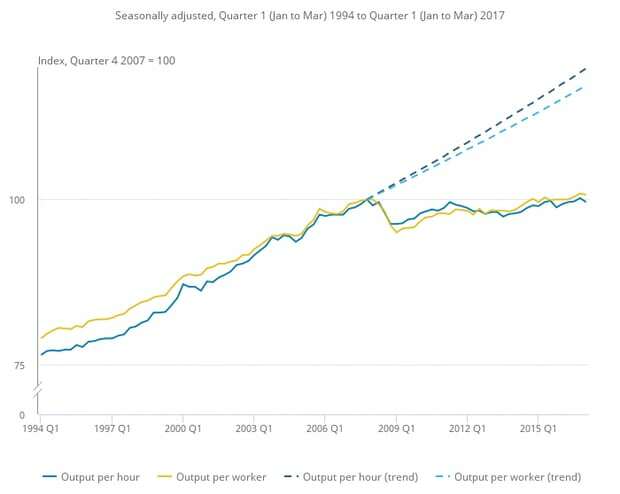 Productivity levels in the UK workforce - highlighting a stalling in productivity since 2007. The Stoddart Review continues the work of an industry giant: Chris Stoddart, MCIOB, FBIFM. Formed by the British Institute of Facilities Management (BIFM) and founding partners who worked with Chris, it exists to raise awareness among business leaders of the importance of the workplace and real estate as a key performance lever. Independent and cross-industry, it attempts to present a broad and unbiased perspective. The review’s first report, 'The Workplace Advantage', raised eyebrows with its assertion that raising productivity by just 1% would provide a £20 billion boost to the UK Economy, and that smarter use of the UK’s office space could improve productivity by as much as 3.5%, some £70 billion extra pumped into the economy. And it was for this very reason that a select audience was invited to the recently renovated Granary Square in Kings Cross, Central London, to hear first-hand from some of the contributors to the review and to hear the latest news on unlocking the productivity puzzle. The Stoddart Review - Live! Speaking on Thursday 13th July, John Philpott (former adviser at the CIPD), Chris Moriarty (Leesman Index), Ian Ellison (3edges & Sheffield Hallam University), and Alison Webb (Head of Workspace, LendLease) put across their unique viewpoints on the issues raised by the study, and gave advice on how best to use the findings to initiate real change in the workplace. It was interesting to hear the at times contradictory viewpoints of Chris & Ian, with Chris championing the power of data, or more precisely the ability to understand and interpret data effectively. The Leesman Index, of whom Chris is the UK Managing Director, provided a huge chunk of data to the Stoddart Review. L-R: John Phillpott, Alison Webb, Chris Moriary & Ian Ellison. The Leesman Index is the largest independent database of workplace effectiveness data, with over 200,000 respondents from over 60 countries. One of the central findings of the Leesman Index is that only 53% of UK & Ireland employees find that the design of their workplace enables them to work productively. These stats were a starting point for the study. You can read more about the Leesman Index here, where we discussed what separates the offices of Scandinavia & the UK. This was contrasted by Ian’s more sociological exploration of the issues at hand, suggesting that it isn’t data alone that drives organisational decisions and workplace change, irrespective of the dominant data and ‘scientific fact’ narrative that dominates many business and workplace knowledge debates. There are agendas everywhere, and Ian encouraged the room to think more critically about the information they are using. Ian regularly hosts a podcast series 'Workplace Matters', where he explores many of these issues, including an excellent edition where he speaks with Polly Plunket, programme director of the recently published Stoddart Review. You can hear them all here. The bottom line that came across from every speaker was that the world of work is rapidly changing, and that we must encorporate new ways of designing our workspaces effectively to make the most out of the space, and the people who inhabit it. The physical design of our working environments is hampering our productivity, and we must do better. You can read the report in full for free, by downloading from the Stoddart Review Official Website, which includes regular updates and the latest findings, as the study continues. At Flokk, we provide an array of furniture for every workspace, helping you unlock your true potential. Check out some of our range in our all new lookbook, focusing on the various areas a workspace requires. You can download it for free, here.